Unsurprisingly, life can get boring for an animal when it stays cooped up in your house all the time. Sometimes humans just need to get away from it all and pets are no different. Here are some of the benefits of taking your pets on vacations and why your beloved animal companions need these breaks from their regular routine just as much as you do. Some pets get bored very easily, especially certain breeds of dogs that are highly active. A bored pet can get into all kinds of mischief, such as tearing up your sofa or just having too much energy to handle. This results in frustrated owners and frustrated pets. Taking your pet out, whether on a week-long vacation, a trip to at home pet groomers or for a walk at an unfamiliar state park, helps alleviate some of that boredom and stimulates your pet. Always ensure the activity level you can provide your pet matches their natural activity level. When pets get out and interact with both other humans and other animals, it helps socialize them. This is good for your pet’s emotional and social development, as he will learn how to properly behave in social situations. He might meet other dogs and make friends with them. For dogs with anxiety, it can help them come out of their shells a bit and learn to confidently greet other people. A well-socialized pet is less likely to develop behavioral problems, less likely to be aggressive and less likely to be anxious. Dogs, like people, can get cabin fever, which can result in poor behavior and the stalling of obedience training efforts. Going on vacation can be an excellent opportunity for a refresher training course. Your pet will have to be on her best behavior while on vacation and that requires her to be able to follow basic commands. Obedience to basic commands is not only convenient but is also a safety issue. If your dog gets off-leash, you want her to return to you instead of running away where she could get lost or hit by a car. Vacations benefit your pet because you will have some extra time to work on obedience training as well as get your pet accustomed to unusual situations. Your pet may even learn some new tricks. You may not always spend as much time with your pet as you would like. You live a busy life and likely work a full-time job, which gives you little time at the beginning and the end of each day to walk, play or spend time with your pet. Taking your pet on vacation allows the two of you to have some quality bonding time. Because you are essentially your pet’s entire world, he will be ecstatic to have you all to himself for even a short amount of time. Your pet won’t be around forever and the both of you will end up treasuring the time you spend together. Traveling with a pet in tow is substantially different than vacationing on your own. You will need to carefully consider where you can and cannot go with your pet, which includes lodging accommodations as well as activities. You also want to consider any health or behavioral issues your pet has, such as separation anxiety or aggressiveness, that could be a problem. Air travel, for instance, is especially stressful on pets and should be avoided if possible. Ensure you pack your pet’s things in addition to specialized safety equipment, such as a doggie life jacket. 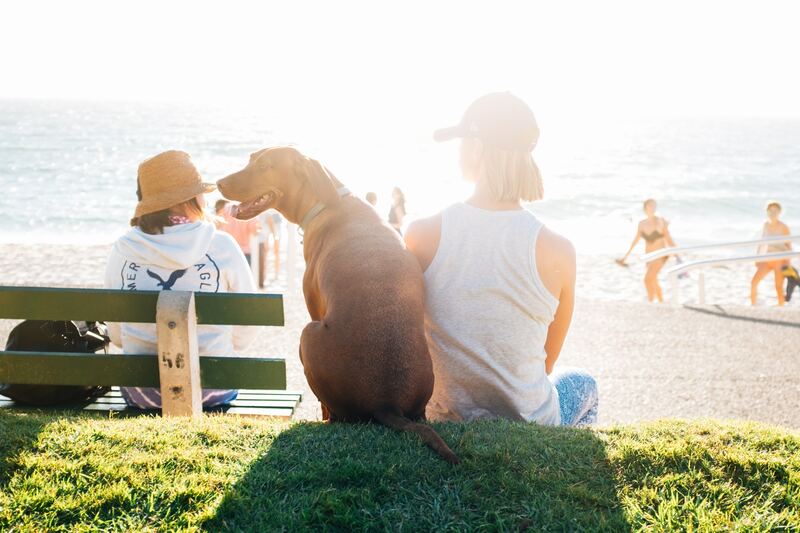 Fortunately, more and more businesses and public places are labeling themselves as pet-friendly, which makes taking your pet on vacation much easier. Be sure your pet is not too stressed out by traveling and has had all needed vaccinations. Prepare for your trip and then embark on the adventure of a lifetime. Mikkie Mills, is a freelance writer who often writes about family, home improvements and the occasional DIY project.